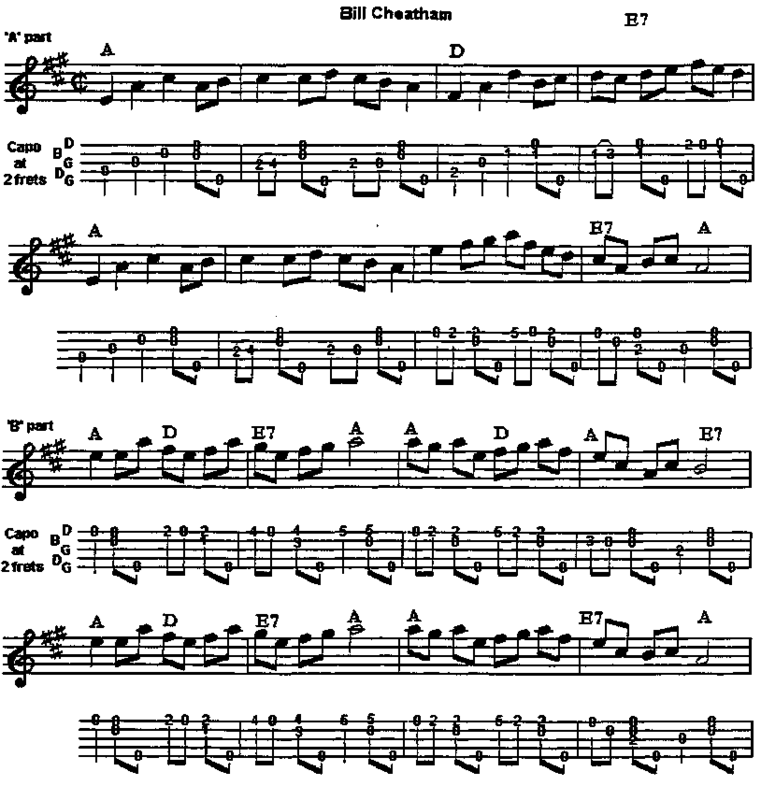 'Bill Cheatham' is a traditional tune - 32-bar pattern - often played in sessions and for dances. Although the version on this cassette has no 'tacets' (breaks in the music for the dancers to be heard) it's easy to include them, particularly in the 'B' sections. Appalachian Clogging(stepping) tutorial by Rosie Davis, beginners tutorial. The Morris Book by Cecil J Sharp, history, description and notation for traditional morris dancing Cowboy Dances, Western Square Dances, instructions, calls, diagrams, photos & sheet music Singing Games, collection of traditional folk dances with lyrics & sheet music, mainly for children American Square Dances of The West & Southwest, calls, instructions, diagrams, steps & sheet music. Espérance Morris Book vol 1, A Manual of Morris Dances with Instructions, Diagrams, Sheet Music & Lyrics Espérance Morris Book vol 2, A Manual of Morris Dances with Instructions, Diagrams, Sheet Music & Lyrics.